Hebrew periodical, edited and published by Samuel Joseph Fuenn in Wilna. It was founded in 1860 as a weekly, and was continued as such (with the interruptions usual in the case of all Jewish periodical publications in Russia) until 1871. Eight volumes appeared in these eleven years, of which vols. i.-iii. have supplements in Russian. It then became a monthly, of which four volumes appeared from 1871 to 1881, when the publication was suspended. Ḥayyim Löb Katzenellenbogen was associated with Fuenn in the editorship (see "Letters of J. L. Gordon," No. 87, Warsaw, 1894). Ḥayyim Löb Markon later assisted Fuenn in the same capacity. 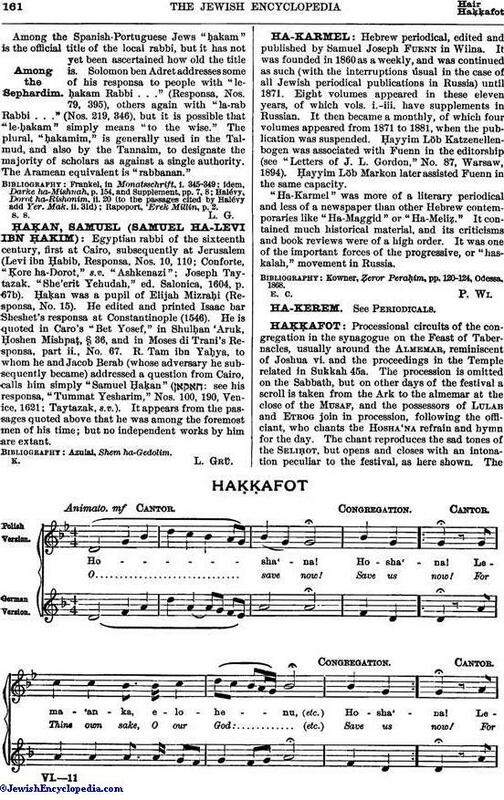 "Ha-Karmel" was more of a literary periodical and less of a newspaper than other Hebrew contemporaries like "Ha-Maggid" or "Ha-Meliẓ." It contained much historical material, and its criticisms and book reviews were of a high order. It was one of the important forces of the progressive, or "has-kalah," movement in Russia. Kowner, Ẓeror Peraḥim, pp. 120-124, Odessa, 1868.